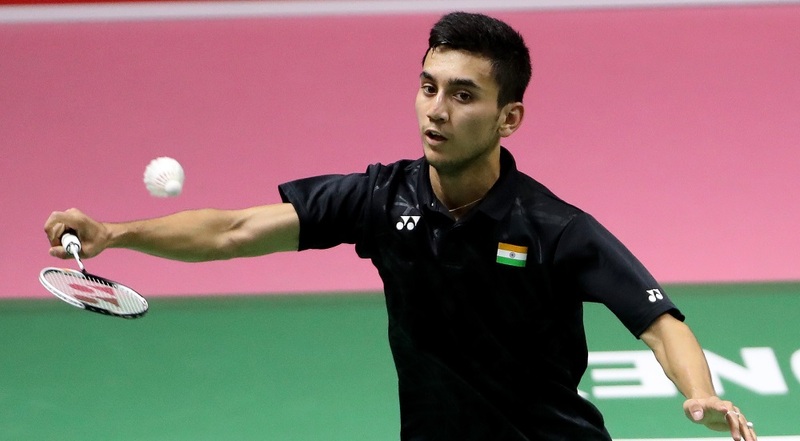 Lakshya Sen won a cliffhanger at the Youth Olympic Games 2018 today, making the Men’s Singles final after surviving a dramatic come-from-behind effort by his opponent Kodai Naraoka. The Indian heaved a huge sigh of relief as he was forced into staving off a resurgent Naraoka despite enjoying a big lead. 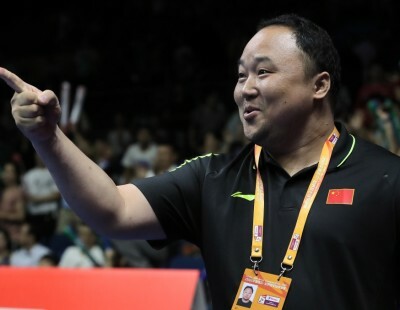 The Indian eventually scampered home against the Japanese, 14-21 21-15 24-22, earning the right to play China’s Li Shifeng in the final. 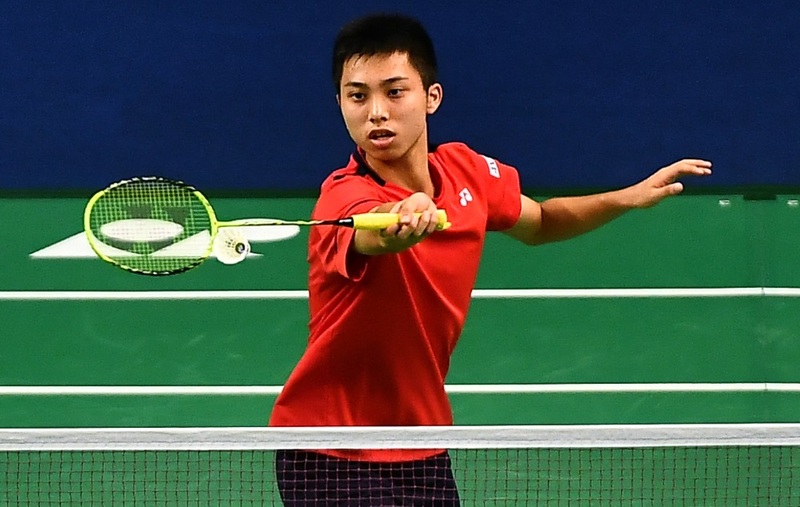 The Women’s Singles title clash will feature Malaysia’s Goh Jin Wei against China’s Wang Zhiyi. Sen’s semi-final against Naraoka had all the elements of a rollercoaster ride. 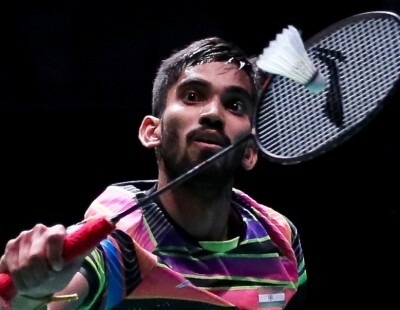 The Indian (featured image) had wilted under the Japanese’s withering smashes in the opening act, but settled down into a nice tempo, marked by pinpoint clears to the deep and a constricting net game that gave Naraoka no leeway. Sen continued in the same fashion in the third, and at 11-0, the Japanese appeared to have lost the plot. But Naraoka was far from done; with great in-the-trenches resolve, he started to clamber out of the hole he was in. Bit by bit the lead was pegged back, his stubbornness evident as he retrieved impossible shots to keep the rally going, refusing to play a loose shot despite appearing exhausted after every rally. Soon enough the Indian’s panic was obvious as he hit a couple of wayward shots to help Naraoka draw level at 19-all. 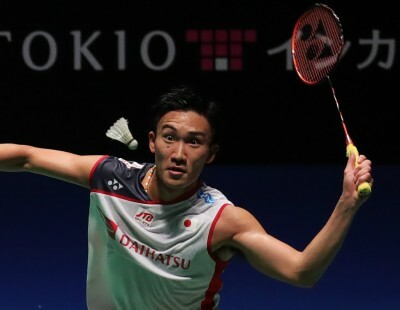 It was anybody’s game from then on; Naraoka had a match point and Sen two; it was finally the Indian who won the last rally even as his teammates from the relay event chanted his name. 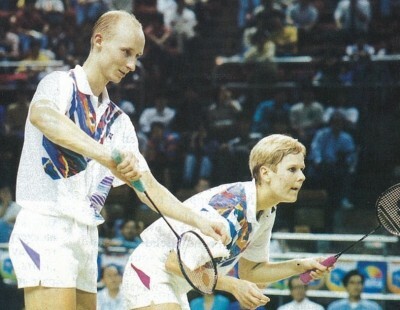 In an earlier semi-final, China’s Li Shifeng blitzed France’s Arnaud-Sylvain-Andre Merkle 21-7 21-12. 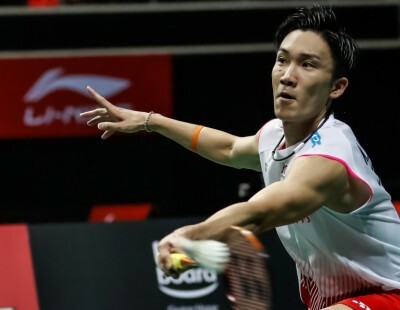 The Frenchman had upset top seed Kunlavut Vitidsarn in the quarter-finals, but against Li he stood no chance as the Chinese pace and aggression proved too hard for him to counter. 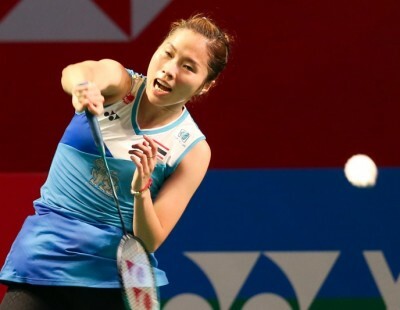 An unusually animated Goh Jin Wei shook off the cobwebs with the match fast slipping away in her Women’s Singles semi-final against Thai top seed Phittayaporn Chaiwan. 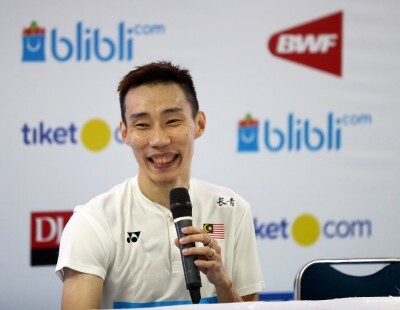 Appearing too passive through the first game, Goh suddenly came to life midway through the second, and she rode the momentum to outplay her opponent, 19-21 21-15 21-13. 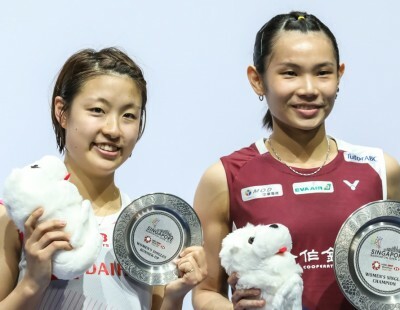 Chaiwan had dominated her through the early session through more attacking play and a few sensational shots – the best being a cross-net winner from close to the floor – and Goh had remained largely passive in the face of her opponent’s energetic play. 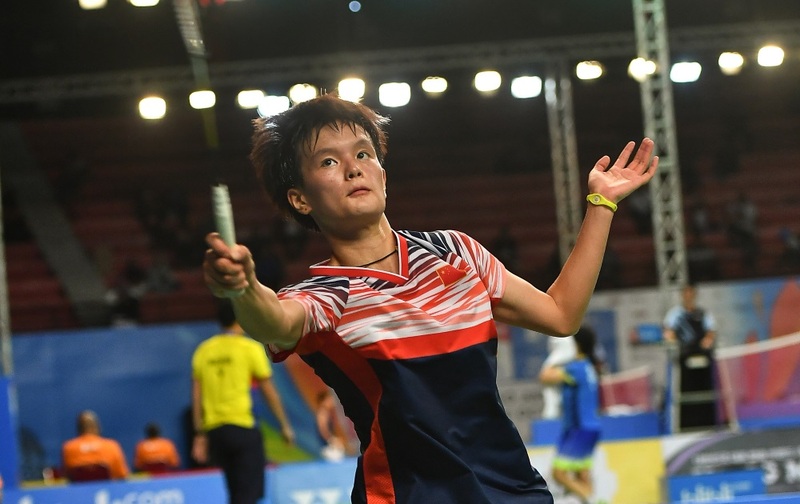 However, from the moment she found her second wind, Goh was far more positive, and even startled the crowd early in the third with a yell when a Chaiwan shot landed long. Goh said the loud encouragement to herself was something she had developed lately. “I got this recently. It’s about motivation and making myself excited, it’s a good thing sometimes. Goh’s final opponent will be China’s Wang Zhiyi, who shut out Singapore’s Jaslyn Hooi 21-11 21-10. 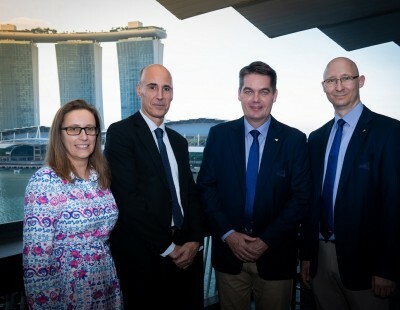 The vanquished Singaporean admitted she had been outclassed by a player very much her superior.